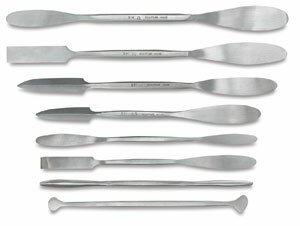 These high-quality Sculpture House stainless steel tools won't rust, and are easy to keep clean. The cutting edges are ground to perfection. For feel and definition, the artist can rely on flexible ends. Perfect for wax, plaster, and plastalina. 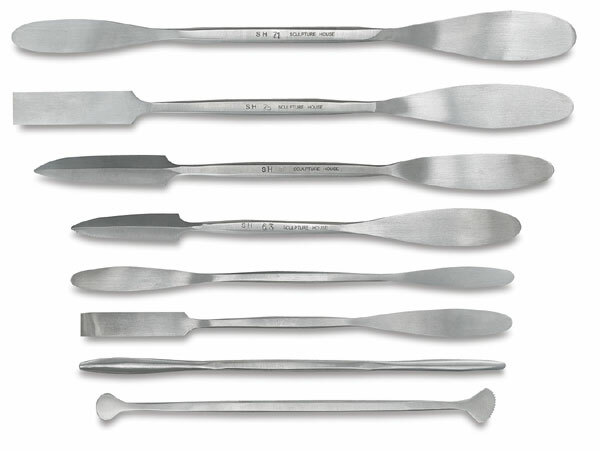 The eight stainless spatulas in this set range in size from 6" to 9" long. The complete set comes with a canvas roll.